The great 20th century poet, Rainer Maria Rilke observed that “Destiny itself is like a wonderful wide tapestry in which every thread is guided by an unspeakable tender hand, placed beside another thread and held and carried by a hundred others.” The best plant combinations sometimes occur by accident, by chance or in a more poetic sense, by destiny. 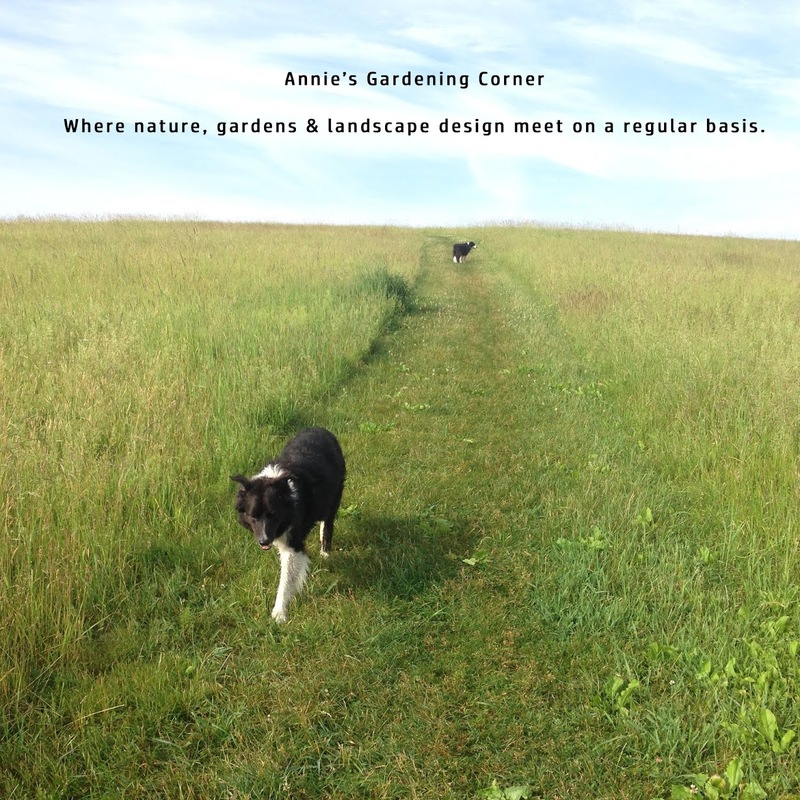 So what is your garden’s destiny? Do you experiment and play with color palettes and plant materials that go beyond your usual realm of imagination? Great companions aren’t always planned or carefully crafted. 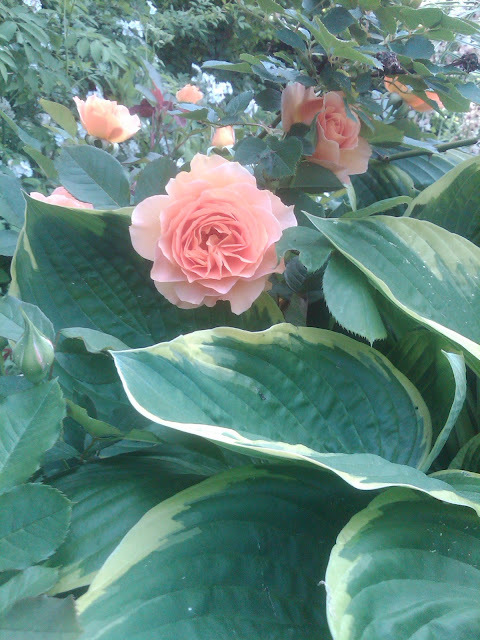 This not-so-unusual Hosta with its variegated leaves compliment this delicate, pale orange Rose; woven together, one does not overpower the other. This plant encounter was purely by chance; definitely not planned but both enjoy each other’s company. People often ask for dynamite plant combinations but are afraid to experiment. Gardening should be just that - a wonderful experiment, which means scrap any and all fears. Try bold; dabble with bright. Some people despise particular colors but when combined correctly in the garden, whether by accident or by choice, often it is this unspeakable tender hand that creates a ‘wonderful wide tapestry’. Experiment, imagine - your garden’s destiny awaits you. P.S. Here’s a cut vase combination you may want to try. Soft orange Roses in a vase with Baptista (False Indigo), Nepeta (Catmint) and Amsonia hubrichtii make a stunner combo. The lavender/purple colors combined with this pale orange Rose make a perfect table setting.